“….If Varvaresos suggested Van Cliburn reborn – given those colossally long, fleet fingers – his Liszt reminded us of the demonism we associate with Gyorgy Cziffra….”. Greek pianist Vassilis Varvaresos (1983, Tessaloníki) was in 1998 the youngest pianist winner ever (at age 14) of Young Concert Artists/New York, after which his recital débuts in New York and Washington were critically acclaimed. 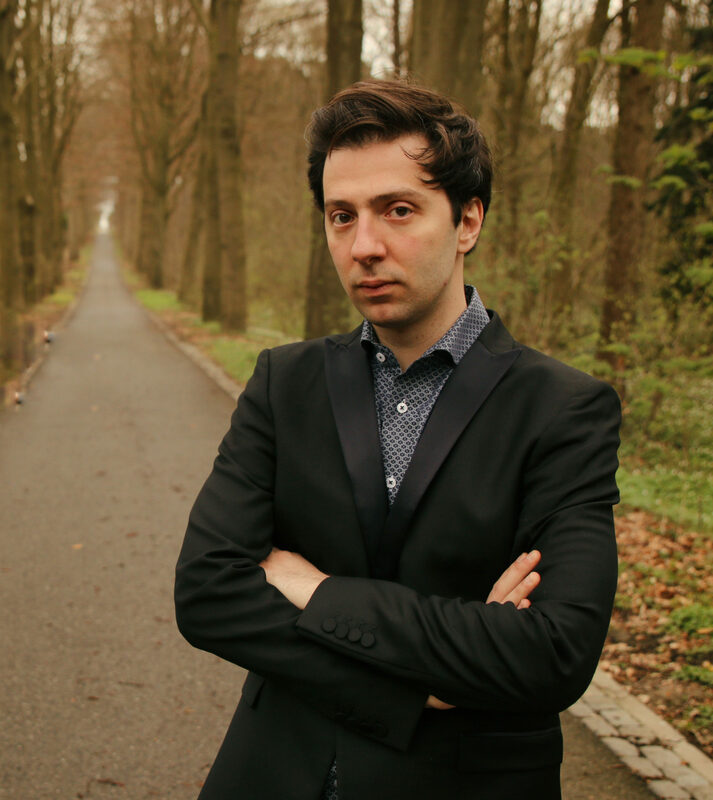 The Washington Post’s headline called Vassilis a “Young Master on the Rise.” This coveted first prize was followed by various international prizes after that; he is laureate of the 2014 Enescu Competition in Bucharest and the 2015 Monte Carlo Piano Masters. Through the years, Vassilis performed in solo recitals in Tonhalle/Zürich, Megaron/Athens and Musikverein/Vienna and appeared several times in prestigious Salle Gaveau in Paris. He is invited at festivals like Chopin Festival/Nohant, Lisztomanias/Chateauroux, Sommets Musicaux de Gstaad, Enescu Festival, Festival des Arcs, Festival du Classique au Vert in Paris, the SenLiszt Festival of the Gyorgy Cziffra Foundation and the Athens Festival. His concerto appearances last and coming seasons include Chopin’s Piano Concerto no. 2 with the Orchestre de Normandie, Tchaikovsky’s Piano Concerto no. 1 with the Freiburg Symphony Orchestra, Beethoven’s Piano Concerto no. 4 with the Thessaloniki State Symphony Orchestra and Skalkottas Double Concerto in Athens. Summer 2017 Vassilis Varvaresos made his debut at the Istanbul Music Festival, performing Prokofiev’s Piano Concerto no. 4 for the Left Hand. In November 2018 he will be playing with the Bremer Philharmonie Ravels Concerto for the Left hand. He worked with conductors like Alexander Shelley, Justus Frantz, Ovidiu Marinescu and Vassilis Christopoulos. An avid chamber musician as well, he has been invited to perform at the Bozar Theater in Brussels, Concertgebouw Amsterdam, De Vereeniging in Nijmegen, Diligentia Theater of The Hague, and Gasteig in Munich. His regular chamber music partners include musicians like Michel Dalberto, Henri Demarquette, Ophélie Gaillard and Noé Inui. Since his American debut, aged 15, Vassilis has performed as recitalist at major venues in New York like Carnegie Hall, Merkin Hall and Morgan Library; in Washington he performed a.o. in Kennedy Center. March 2012 marked his first solo recital in Carnegie Hall after which he was invited by President Obama to perform at the White House. Vassilis Varvaresos represented Greece together with the Athens State Symphony Orchestra at the 2008 Beijing Olympics and has been named “Most Promising Young Greek Artist” by the Critics’ Association of Greece; he has been a regular soloist on all the major stages of his home country. Vassilis holds a bachelor, masters and Doctor or Musical Arts (highest degrees) from the Juilliard School, where he studied with Jerome Lowenthal, Yoheved Kaplinsky and Robert MacDonald. He is a recent graduate of the prestigious Diplôme d’ Artiste-Interprète degree at the CNSM in Paris, under the tutelage of Michel Dalberto. He recorded 4 critically acclaimed cd’s: one with violinist Noé Inui (Strauss and Schumann Sonatas), ‘Winterreise’ with bariton Dimitris Tiliakos and two solo-CD’s, the latest, ‘V for Valse’, has been released in May 2018. 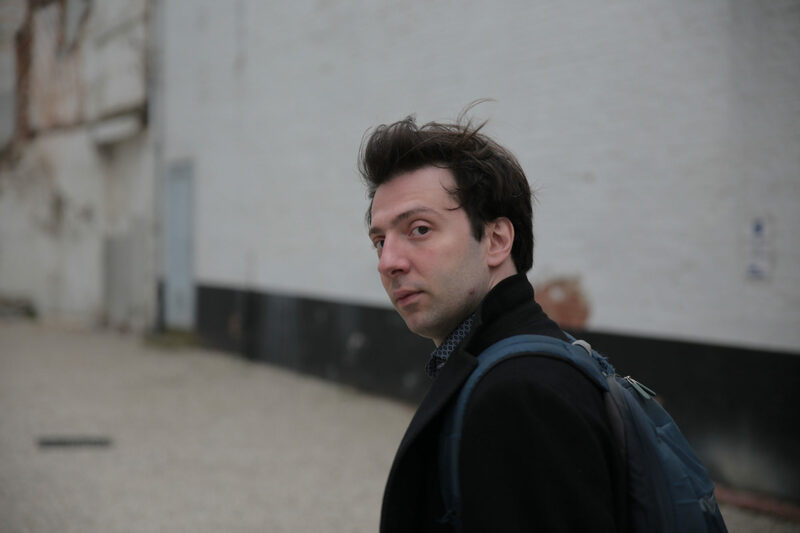 Besides performing, Vassilis Varvaresos, who is residing in Paris, has written music for ten films and several television series and wrote the book “Departure From the Functionality of Syntax”, which was awarded the Scholastic Distinction Award at the Juilliard School.